We share with you regular news and updates on our company performance and the progress of our developments. 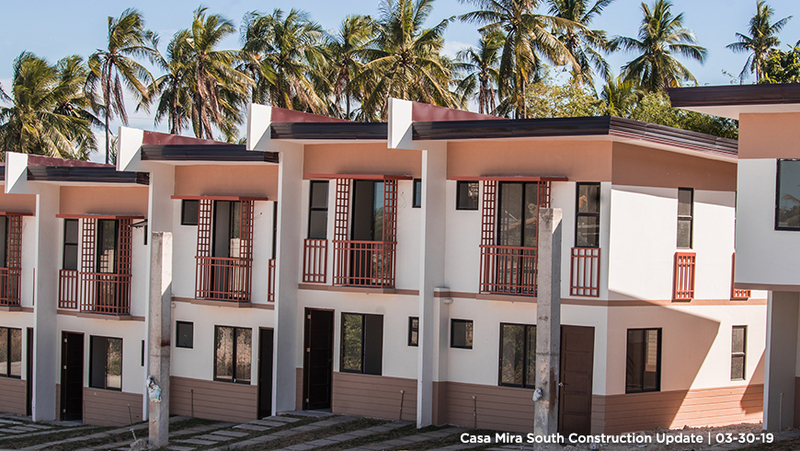 The 32-hectare Casa Mira South was awarded as 2018 Best Housing Development in Cebu by Philippines Property Awards. It offers over 3,000 economic housing units showcasing modern Filipino architecture in its design. CEBU Landmasters, Inc. (CLI) is allocating P13 billion for capital expenditures this year, as it plans to launch 29 projects worth P25 billion. In a briefing held in Taguig City on Thursday, CLI President and CEO Jose R. Soberano III said of the capex for 2019, 79% will be used for project development in Visayas and Mindanao areas. “From P10.2 (billion) in 2018, we are projecting 2019’s budget of P13 billion, of which 79% will be on project development,” he said. Most of the land for the 29 projects has already been acquired, with deals for the rest expected to close within the second quarter. CLI said it is adding 7,517 residential condominiums units through One Paragon Condo, CM Towers CDO, One Astra Phase 2, and 38 Park Avenue Phase 2. It will also sell house-and-lots at Velmiro Granada, Casa Mira Granada, and Casa Mira South Phase 4. The company is also increasing its number of hotel rooms to 1,223 through Citadines Bacolod, Citadines Paragon, Patria de Cebu Hotel and Mactan Hotel. It is also planning to boost total gross leasable area to 161,034 square meters (sq.m.) through projects like LPU retail and LPU Office. With the new projects, CLI is targeting reservation sales to rise by 28% to P12.5 billion and consolidated sales to jump by 25% to P8.4 billion. The company expects net income to grow by 20% for both consolidated and parent to P2.6 billion and P2 billion, respectively. “We are strongly positioned to sustain our growth in this region. There is a large underserved demand, and CLI will capitalize on its homegrown leadership and diverse product offerings in order to successfully cater to this growing VisMin market,” Mr. Soberano said in a statement. The VisMin property developer saw its net income surge 72% to P2.17 billion in 2018, while net income attributable to the parent company grew by 36% to P1.66 billion. CLI’s consolidated revenues increased by 72% to P6.76 billion due to strong sales and the higher number of projects under construction in 2018.